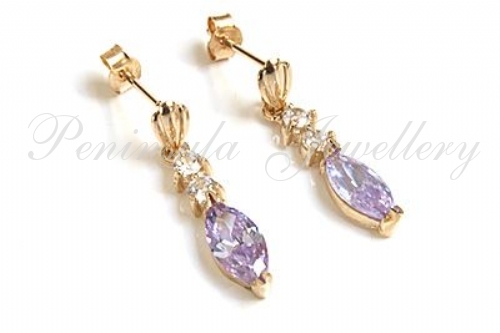 Each earring features one 8x4mm marquise cut Lilac Cubic Zirconia gemstone and two 2mm round brilliant cut white Cubic Zirconia, set in 9ct gold with scallop fronted posts and butterfly backs. 20mm drop. Made in England. 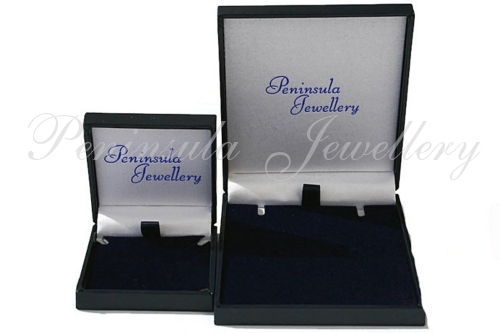 Supplied in a luxury gift box - Great Gift! !